With plastic being a huge part of our lives, we have lost touch with how much plastic is affecting us, hindering it and making our environment worse. We see plastics at the fingertips of every other person through water bottles, sandwiches and fruit and veg in supermarkets. If you take a minute to really look around you- and open your eyes, you will be astonished at just how much plastic is a part of our daily lives. 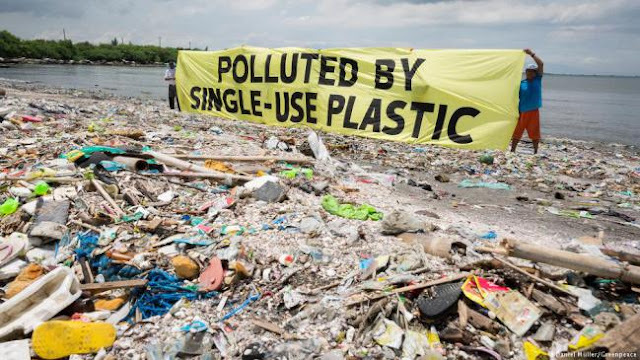 Plastic is an ever-growing epidemic that needs to be stopped, and this can only be done with everyone being on the same mindset and wanting the same goals. If we start by spreading awareness it just might get more people talking and acting on it. A question many have asked before is, where does all the plastic go that we use daily. And yes it is true some but not many plastics can be recycled, however others take years and years to decompose. Plastics that are no longer use-able such as single use plastics are dumped in landfills- but what happens when our landfills are over populated? We find new places to dump the plastic, and plastic is ending up in our seas, rivers and streams. Plastic accumilates to 10% of the waste we generate and over 500 billion plastic bags are used worldwide. We are generating billions and billions of waste in the form of plastics, which is travelling round our oceans and moving from country to country. The epidemic is increasing and more and more animals are being killed through the consumption and traumatic experiences of plastics. 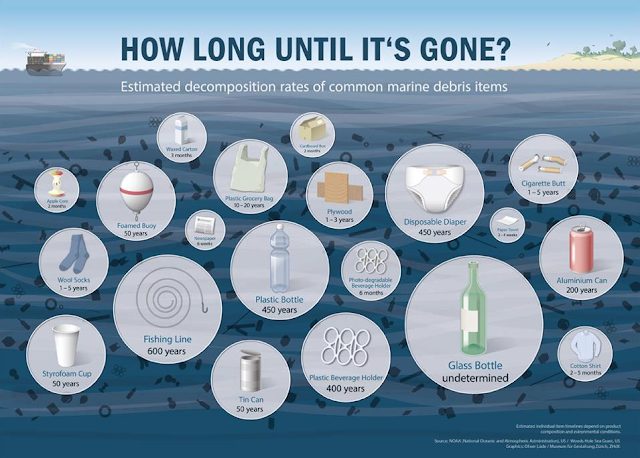 Key Information: Plastics can take years to break down and decompose, and majority of plastics will outlive us, our children and our grandchildren. And with that in mind it gives you and idea of just how much plastic is polluting our environment. More than 300million tons of plastic is mass produced globally each year and of that number not even a fraction of that can be recycled. Food for Thought: Almost every piece of plastic that has ever been made still exists in some shape or form, plastics and plastic chemicals are being absorbed by animals and humans. This means the food we eat has a percentage of micro plastics within it. Plastics in seas are being consumed by fish and this is being consumed by fish eaters. Animals and plants (crops) need/drink water from the sea/streams and rivers are also consuming small percentages of plastics which means we are too. As a technological advanced generation and society, it is time we put our thinking caps on and start thinking about our planet- small acts and changes will not only benefit our community but can help benefit our way of life and the longevity of planet earth. Small changes could be simple things such as no longer buying water bottles, abolishing the purchase of plastic Christmas trees, using non-plastic shopper bags etc. The list can go on forever. If you could make one change to help the world globally, why not try?